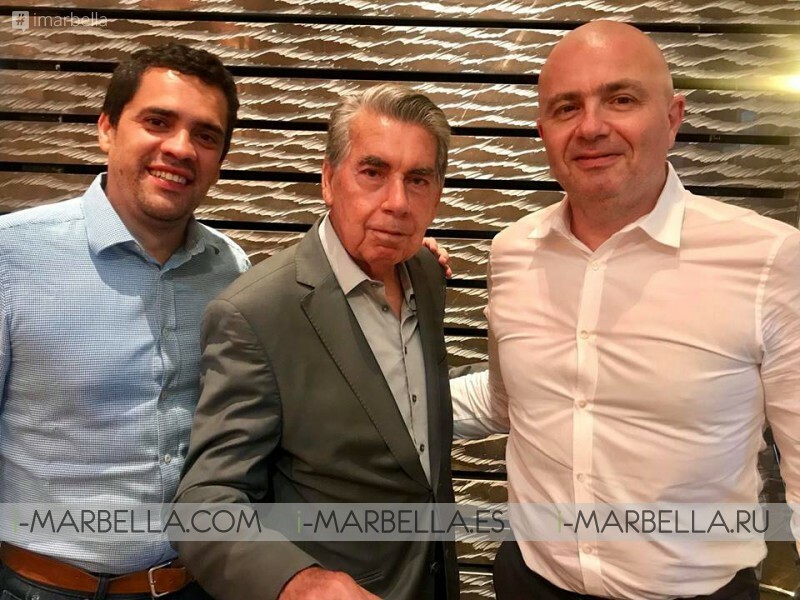 Manolo Santana turned 80 years this Thursday, May 10 of 2018 while working these days for the Mutua Madrid Open in Spain. 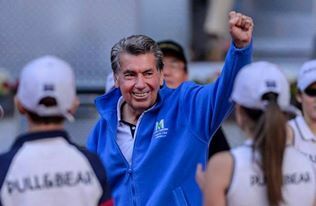 Manolo Santana celebrated his 80th birthday on the track that bears his name in the Magic Box, the Manolo Santana Stadium, where the staff of the Mutua Madrid Open, which he directs, surprised him with a party in his honour. 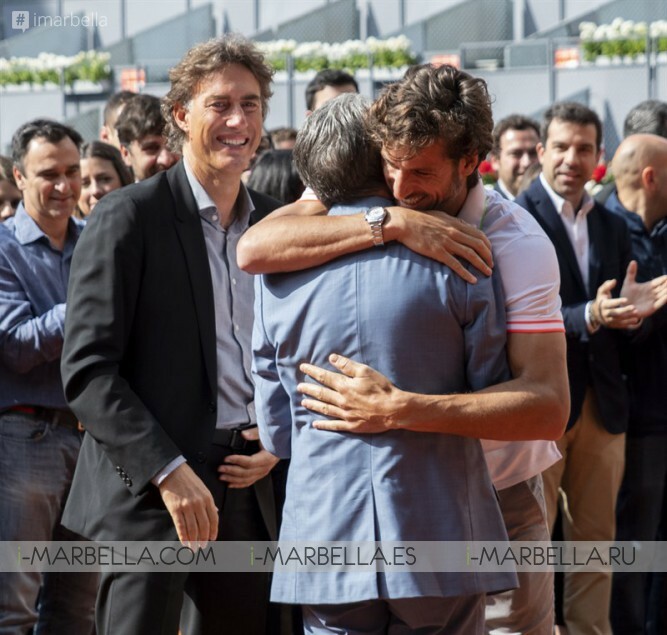 As the former champion entered the field walking among a row of young ball boys, the team and staff of line judges, ball boys and volunteers formed another line on the other side of the net, where between cheers and applauses other tennis professionals who have shared his story, Gerard Tsobanian, CEO of the Mutua Madrid Open, and Feliciano López, deputy director, lifted him on their shoulders when the Happy Birthday song started playing. After this emotive scene, the screens were lit showing part of the history of this distinguished tennis champion, and important figures of this sport addressed some words of respect, honour and support for his predecessors, among which Rafael Nadal, Garbiñe Muguruza and Juan stood out. 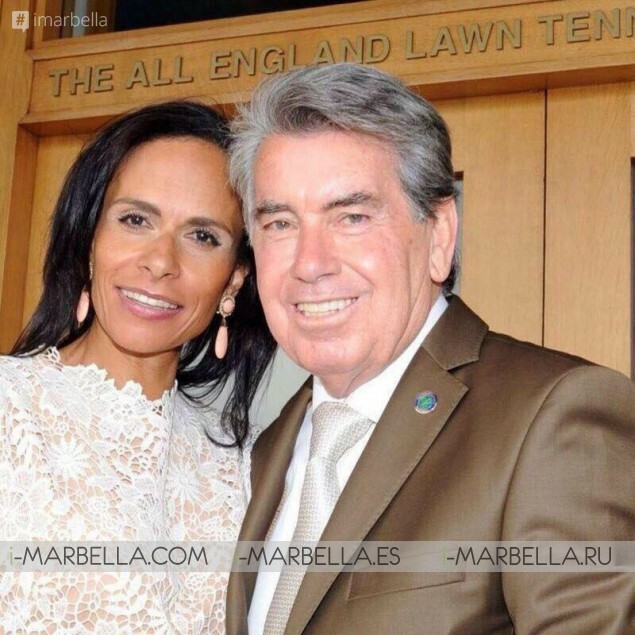 For now, 2018 will be his last year as director of the tournament passing him on as an honorary president, relief that Feliciano López has already taken half this edition. "But you're going to have Santana for a long time; you will not stop seeing me. 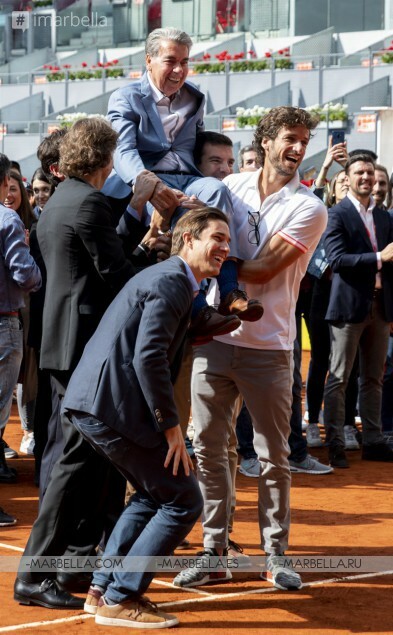 Now, let Feli prepare to be asked for tickets” he says as he refers to himself as "A lucky guy", same title he gave to his autobiography which he wrote with the help of his son Manolo. Rafael Nadal, Spain’s current champion, praised him with these words "Nobody knows what our tennis would have been without him. He was the pioneer and it is more difficult to do something for the first time, although later we have finished it. Manolo has gone through all the phases, and lately he has been an ambassador of the sport. We must thank him for his dedication and affection"
Santana was born on May 10, 1938, during the Civil War. "My mother told me that one day walking with me in her arms a shell fell a couple of meters and did not explode. It was the beginning of my luck" he recalls. His father worked in the transport company and for his union affiliation he spent six years in prison. Two years after leaving, a serious illness took him. And his mother had to raise four children. "My brother, who was a ball boy, got sick and she encouraged me to replace him at Club Velázquez” he said. “With a piece of wood torn from the back of a chair I made a kind of spade with which I went to the ball court to hit the ball". Later on, the Romero Girón family became friends with Manolito, he took him in his house and opened the door to what was then a sport "de pijos". His successes would come in Roland Garros 1961 and 1964. And the first Davis final in 1965 in Australia. And the US Open on grass in Forest Hill the same year, where he received the trophy of Governor Robert Kennedy. And, of course, Wimbledon 1966 with the Real Madrid shield on his chest and the assault on protocol taking the hand of the Duchess of Kent.